Sandgate Dental is an approved provider of MySmilePlan! 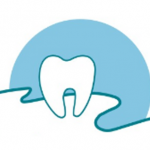 At Sandgate Dental their team are dedicated to providing you with the best dental care and an environment that you can trust and feel comfortable in at all times. You will feel relaxed in their modern practice with welcoming, friendly staff and a wide variety of treatments to accommodate your own personal needs. Using their wealth of knowledge and experience you will leave feeling stress-free and satisfied with your treatment outcome. Call (07) 3269 6252 to book an appointment.